You may notice that our adoption pens are looking a little empty this weekend – for a good reason! Some of our dogs are performing an important role this Saturday and Sunday as adoption ambassadors at Melbourne’s popular Dog Lovers show. With over 20,000 people expected to visits the event, we felt it was a good opportunity to reach more potential pets owners to show them first-hand just how fantastic shelter dogs are. 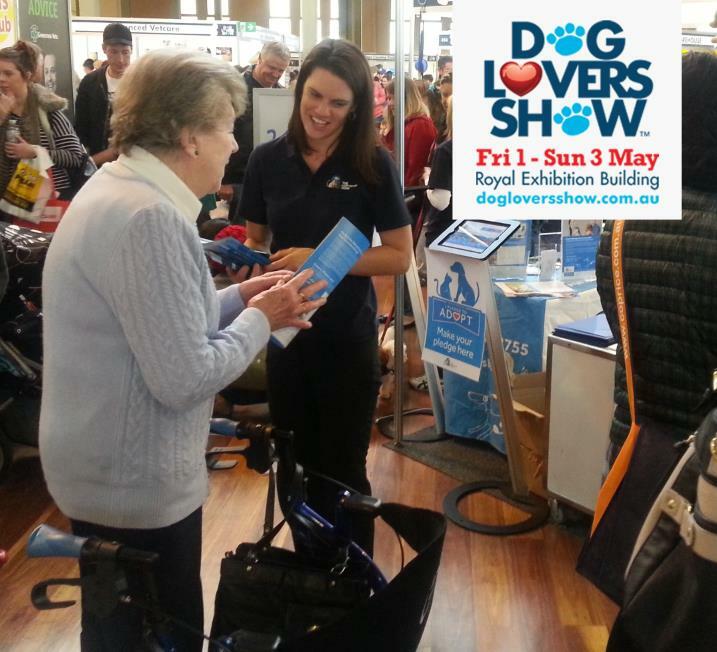 If you live and breathe all things canine, then block out some time in your calendar this weekend and join us at the Royal Exhibition Building to meet our adoption ambassadors at the Dog Lovers Show. Come down, say hello and speak to our staff about how you can become a proud adopter, volunteer or foster carer of the Home.